The PayLink mobility platform enables patrons to order and checkout from their mobile device. No app download required. Mobile technology that delivers an integrated guest experience. 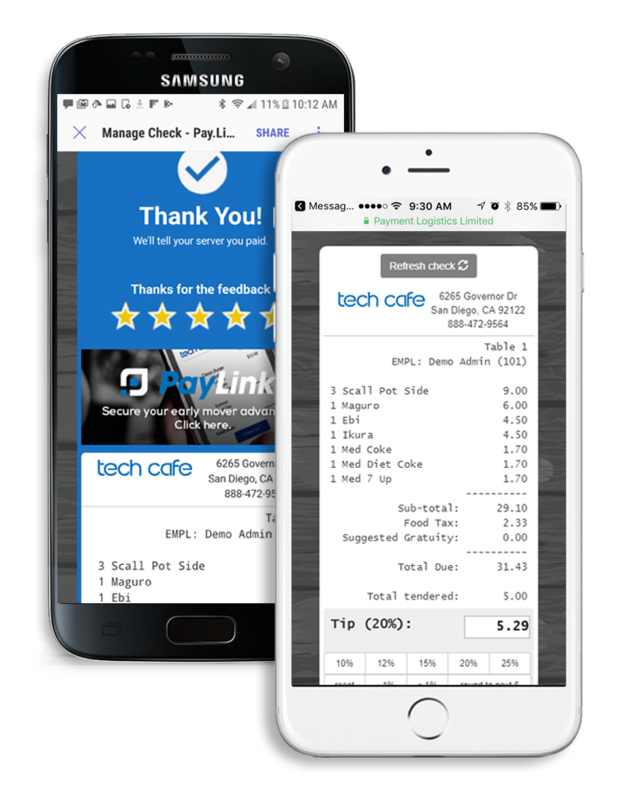 Retrieve link in real-time via sms text or visit pay.link. 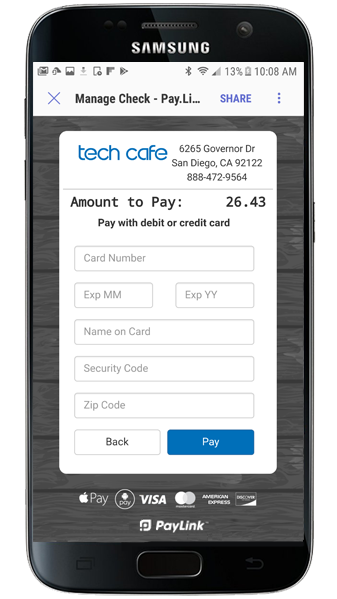 Digital wallets, ecomm or kiosk pay. Patron survey with right-time notifications to staff. 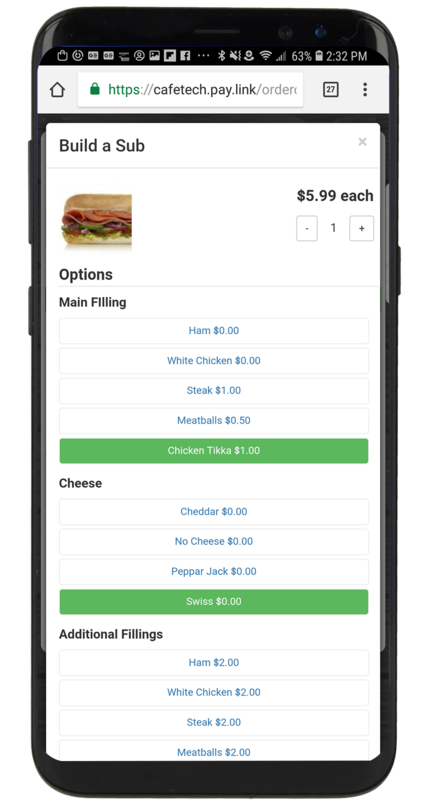 Great for mobile checkout at the table, in your seat at the ballpark or anywhere. 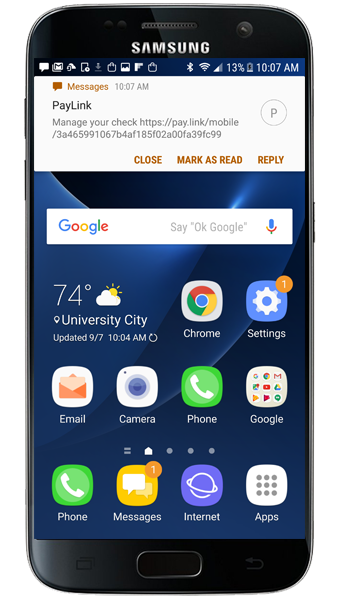 Great for order ahead, pickup and any in-store payments. 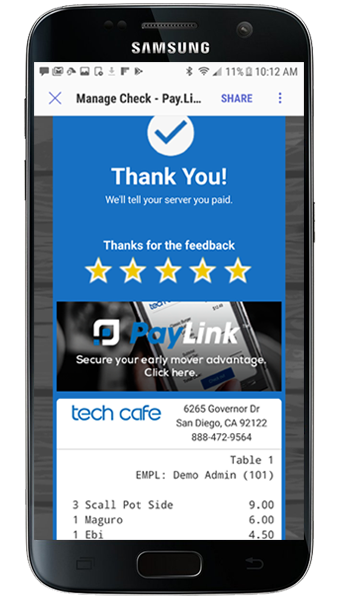 Frictionless onboarding with no app download makes PayLink easy for patrons and profitable for venues. Increase revenues and decrease costs by optimizing consumption, reducing reliance on staff and improving guest experiences. Empower guests to utilize their mobile device to get what they want, when they want it, in a hassle free and easy to use manner. Loyalty enrollment, survey and valet notifications, customizable promotions and our proprietary consumption optimizer. Contact us to get started with PayLink. A dedicated PayLink representative will contact you within 1 business day.